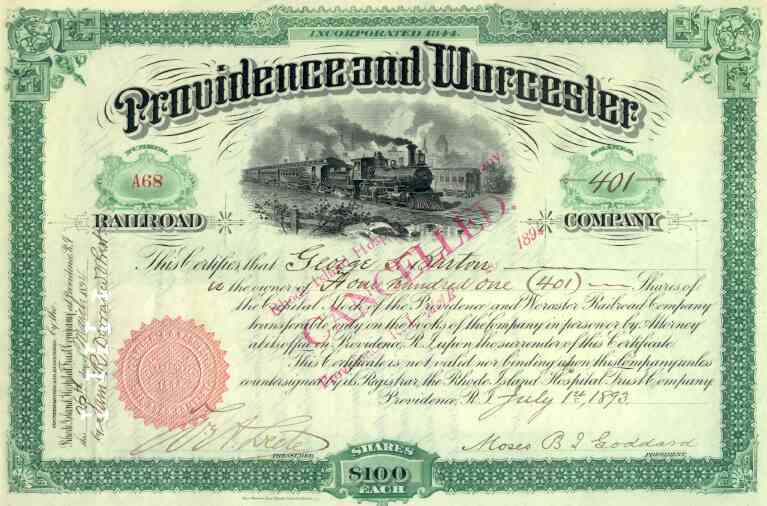 1893 Providence & Worcester RR Stock Certificate. Vignette on this scripophily certificate shows a steam locomotive pulling passenger train. VF+ condition.